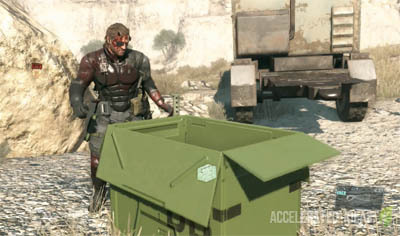 MGS 5 really ups the difficulty level once you reach level 8, especially the part where you need to destroy the tanks. In this guide I'll explain how I destroyed the tanks, providing you with a nice strategy to get the job done. Tanks make their first appearance in mission 8 and this is the first time you'll be up against armoured enemies in the game. You've already seen the gunship helicopter from the previous mission but that's slightly different because this time you're not evading a threat; you're out to take it head on and destroy it. 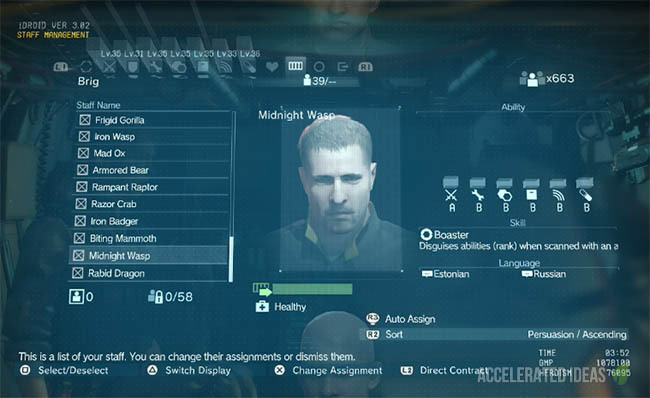 Remember, The Phantom Pain comes with a vast array of weapons and equipment you can develop, unlock and use. In the case of heavy, armoured tanks, you need to use something along the lines of grenade launchers, rocket launchers, C4, hand grenades or similar explosive weapons. I opted to start the mission with the trusty sniper rifle and an assault rifle as primary. This of course consumed the secondary weapon slot which is also shared with the rocket launcher class. So when it came to the tank part I had no weapons capable of destroying them; bullets are useless against these opponents and so are the machine gun turrets inside the base. 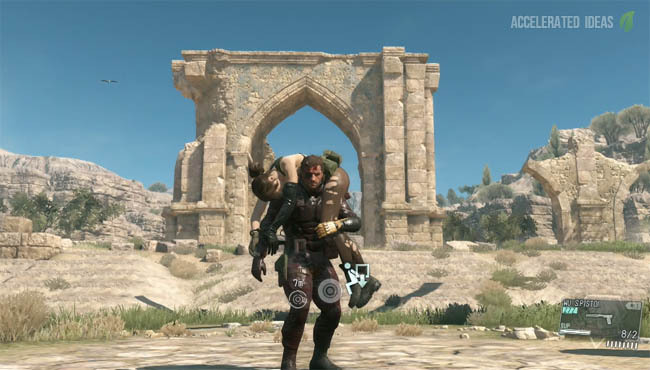 This is not a problem in MGS 5 though because I was able to call in a Supply Drop and ask for a particular weapon - in this case a rocket Launcher. Weapon drops are fairly quick I the game and there's no stupid requirement to select a landing zone - it can be dropped right in front of you. 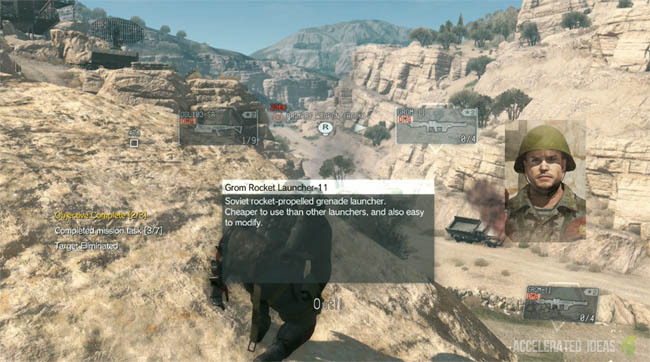 If you haven't unlocked the rocket launcher simply open the iDroid, select Mother Base - Development. Then open the weapons section and flick through until rocket launchers. The game let's you unlock the basic weapon for some modest GMP with no base levels required - so no R&D requirements holding you back. Once you've successfully dropped in and acquired the rocket launcher, it's simply a case of heading slightly down the road in anticipation of the tanks arrival. They pass directly through the base and the road is long and straight, giving you the chance to aim head on, carefully without missing. Stay out of range so the enemy can't detect you quickly, giving you the chance to fire several rockets before things heat up. See the image above for the location I used to hit the tanks. Using rocks for cover is a wise choice and so is ducking behind cover during reloads. Upon the first successful hit a tank usually stops, giving you the chance to unleash successive rockets without missing. How many shots to kill a tank? It takes around 4 rockets to destroy a tank and you can always finish off a wounded tank with hand grenades or a grenade launcher (primary weapon). If you run out of ammo then you can air drop some more, request a different weapon or even call in a bombardment as a last resort.